Liberal Austinite Travis Boyd recycles, shops local, and is partner in a successful green-building company. After his last disastrous relationship, he’ll never again date a man who’s not out. A little discretion while working for ultra-conservative clients in west Texas is hardly the same as being in the closet. Anyway, the only person he’s interested in being indiscreet with is the client’s macho son. Not happening, Trav. Bo Vargas is a cowboy-boot-wearing, meat-eating, truck-driving ode to masculinity. He’s not gay. The men he picks up on business trips are just anonymous diversions. Travis isn’t anonymous. And there’s something about him that makes Bo want to expand his relationship options. Maybe. When a popular dating app sends Bo and Travis on the same blind date, the night explodes in passion. One night isn’t a problem. But what will each man be willing to risk the morning after? This story is so sweet and full of emotion. Bo was hiding so hard he was afraid to come out while Travis was afraid of being stuck in someone else’s closet again. Both of them had things that made a relationship unwise. But both of them also said a big flying F to those reasons because they wanted to be together and belonged together. At the end, where Bo clearly needed to be more truthful, hurt my heart so much. I do like how this story ends though. It’s such a wonderful happily ever after you can tell forever is guaranteed. The funniest line in the book though was “Maybe Travis was the gay pied piper with men jumping out of closets left and right to follow him down the yellow brick road.” I was cracking up when I read that! I would love a sequel so I can see these guys again, though there’s not any loose ends or anything that’s left needing cleared up. Doesn’t make me want it any less. What else could he say? He waited to see what Bo’s next move would be. His mood picked up a little. Not an immediate brush-off, at least. He knew it was a cop-out, but he shoved his misgivings aside in favor of anticipating a few more hours with Bo. Bo didn’t sound encouraging. Did he really not like brunch? Or did he just not want to go with Travis? “A mimosa might be nice.” Travis tried to keep the hurt out of his voice. Bo snagged the phone off the nightstand and proceeded to order what sounded like every form of protein known to man. He ended the order with a carafe of coffee, pitcher of orange juice, and a bottle of champagne. Travis decided he should be thankful he had requested the mimosa. Without it, there wouldn’t be a single bit of plant matter on the order. He cursed himself the minute the words were out. He should let this go and enjoy the rest of the morning. It was probably an excuse and shouldn’t have cheered him up, but the idea of breakfast in bed with Bo finally turned the trick as far as distractions went. Bo sealed the deal by rolling over so he was half on top of Travis, elbows on either side of his. Travis stared up at him, trapped. 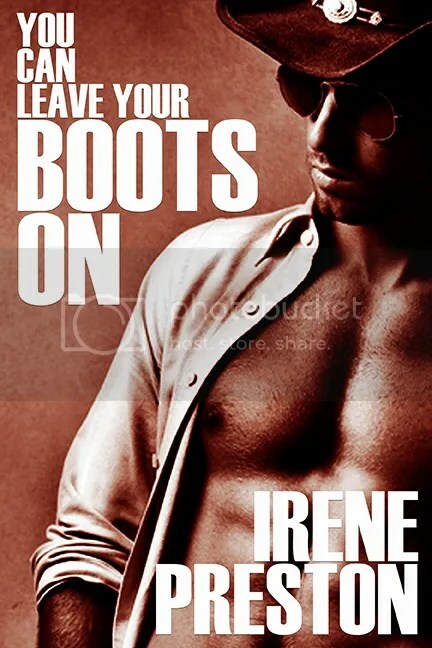 The posture could have been intimidating, but he felt anything but intimidated with Bo pinning him to the bed. 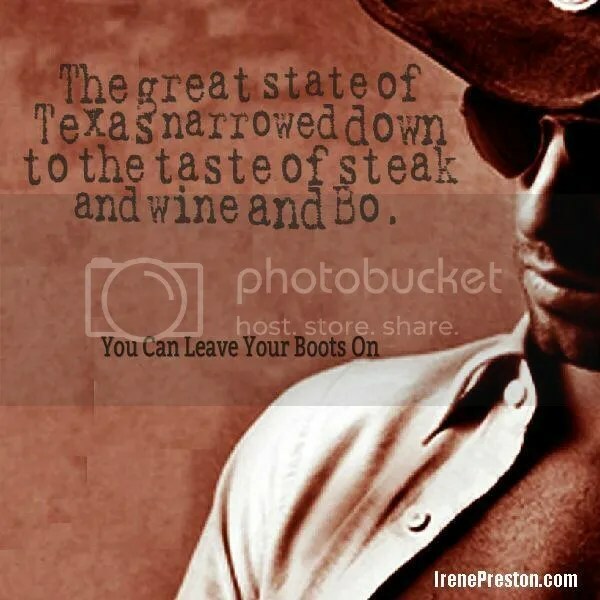 This entry was posted in Reviews and tagged Author: Irene Preston, Coming Out, Contemporary, Contest, Gay, HEA, Location: Texas, M/M, Profession: Businessman, Rating: 4.5 stars. Bookmark the permalink.